The story of Hispanics is part of the larger story of America — a story that starts before our country’s founding and threads through our history as a nation of immigrants — fulfilling its promise through opportunity, hard work, and self-determination. We face enormous challenges as a nation, many of which are felt even more acutely in Latino communities. Our ability to solve any of the problems we face as a country — from health care to education, from climate change to immigration reform — depends on our willingness to recognize that the destiny of all Americans is shared. As Democrats, we know that action has to be taken to permanently protect American Dreamers. Democrats believe that diversity and compassion are our nation’s greatest strengths and we will continue to fight for the immigrant families who contribute to our country every day. Latino leaders have worked side by side with Democrats on issues that affect us all: making college more affordable, improving schools, creating jobs and opportunities, and much, much more. 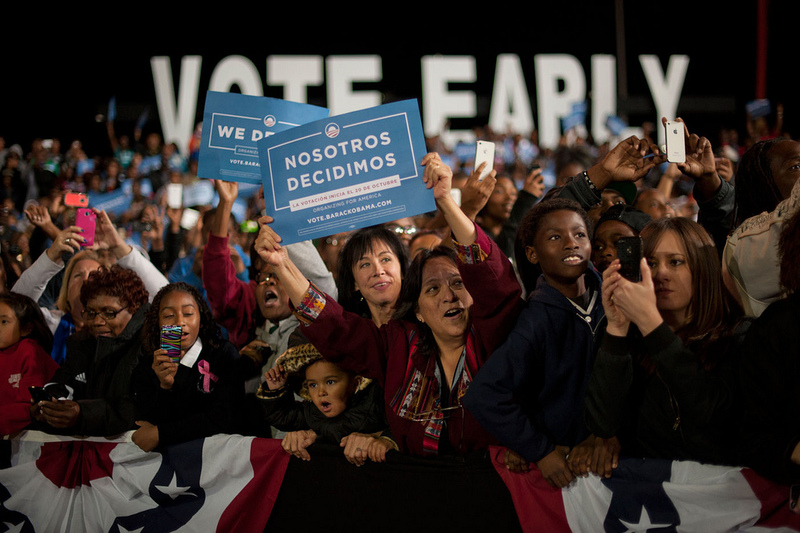 As the Latino population grows in the United States, communities have continued to turn out in record numbers and help to organize and spread the word about the shared priorities of Democrats and the Latino community. Democrats are the party that wants to build bridges, not walls, and lift up all Americans. Under the leadership of Chairman Tom Perez, we will continue working with the Latino community to build on all the progress we made under President Obama. Tom has a long history of activism in the Latino community and his leadership and vision are essential to the success of our party and the Latino community. By fighting to pass comprehensive immigration reform, protect and expand access to health care, and create an economy that works for everyone, Democrats are making investments that will move our country forward.